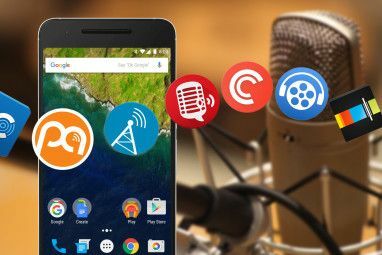 Your Android device is a great mp3 player, and using some of the amazing apps out there, it can be much more than that. You can access Grooveshark, stream your own music collection from your computer anywhere over the Internet, tune into radio stations worldwide, identify and get lyrics to any song that is playing, and keep track of tour dates of your favorite bands. There is an app to make each of these things happen. TinyShark is a Grooveshark app for Android. You can search for your favorite music, discover popular songs, queue tunes, and create playlists. This simple app puts the world of music at your fingertips wherever you can access the Internet. 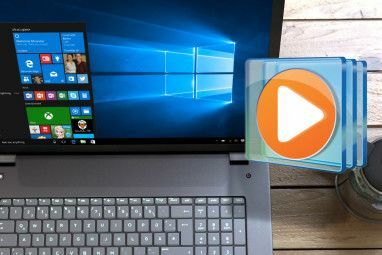 With AudioGalaxy you can stream music from your computer to your Android device over the Internet for free – and the good features don’t end there. You can create playlists both through the app and the web client. When your present playlist runs out of songs, the AudioGalaxy Genie can play matching songs. Finally, you can scrobble your plays to Last.fm, provided your account is linked from your settings page on the AudioGalaxy homepage. Before you can stream songs to your mobile, you need to set up AudioGalaxy Helper on your computer. 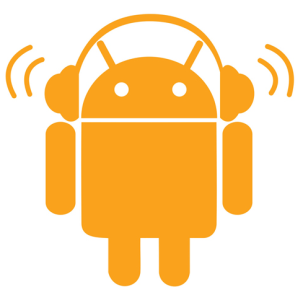 Once your music collection has been indexed, you can stream it to your Android device via AudioGalaxy’s servers. TuneIn is your portal to thousands of online radio stations worldwide. I use it to listen to my favorite station back in Berlin to catch up on news from home every morning. Apart from music, you can also tune into local events, talk shows, and simply discover something new. For a detailed review of TuneIn, have a look at this article: Tune Into TuneIn Online Radio & Listen to Unlimited Music, Sports & Talk Shows. SoundHound is one of two major music recognition apps for Android. Personally, I prefer it over Shazam due to its functionality and features. Both do a great job at recognizing songs. SoundHound, however, has the nicer interface, provides song lyrics (if available), artist tour dates (if available), list of matching YouTube videos (access via browser) and similar artists. All of this information is provided inside the app, rather than having to open a browser. For a thorough comparison of Shazam and SoundHound, check out this article: Shazam vs. SoundHound: Looking For The Perfect Song Identifier Shazam vs. SoundHound: Looking For The Perfect Song Identifier Shazam vs. SoundHound: Looking For The Perfect Song Identifier Read More . Do you love concerts? Then you must put GigBeat onto your Android! The app scans the music on your device or syncs artists from Last.FM or Songkick to show you when your favorite artists are on tour. You can view tour dates based on artists, events, and location. You can also set to be notified of upcoming events or newly added tour dates. If you like this app, also have a look at this article: 8 Band & Concert Tracker Websites To Locate Upcoming Shows 8 Band and Concert Tracker Websites to Locate Upcoming Shows 8 Band and Concert Tracker Websites to Locate Upcoming Shows Read More . For more fantastic Android apps, also check out our list of 100 Best Android Apps. What is your favorite way to listen to music on your Android device? Include poweramp. That's the best music app out there ! For last ten years I always used Nokia cell phones and I loved very much possibilities with making new folders, genres etc. As I am new on Samsung smartphone, can someone recommend me some similar, or better music app. Andrija, there are some suggestions below. I think Winamp or DoubleTwist are commong choices. I use Cloudskipper for Android to listen to music and it lets me listen to podcasts that i have on laptop. i had doubletwist but it was too big for my phone storage. thanks for recommending another music player. I will review it for the upcoming article about Android music players. ;) The above post actually wasn't, but funny how everyone seems to have misinterpreted it. WinAmp for Android is also worthy of mention. Google Music requires you to purchase music. The apps above don't. Besides, it's US only and I'm not in the US and neither are many of our readers. You can actually use google Music to play your own music by uploading it to the cloud. 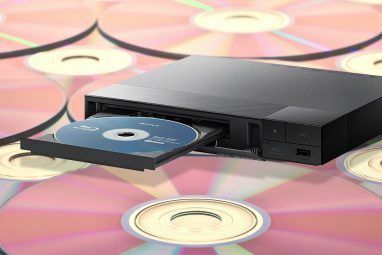 This includes music you've already got residing on your computer. You're right though, they just recently opened up an integrated music store as well. I guess my lack of understanding stems from the fact then that it is US only. I can not install the app, on my Android device it doesn't even show when I search for it. It has to be frustrating google keeping some of their best services in America only. Hopefully they'll open it up soon. Unlike the desktop version, you can download any of your music in the cloud to your phone. Obviously, this is helpful for those times you plan on being out of the country or just out of service (such as 35k ft in the air). http://doubletwist.com/ to be mentioned? I keep going back to that app everytime I try to switch to something new. It's well developed and easy to use without any hiccups or BS. It's still the only music app I can find to work with my cars bluetooth. DoubleTwist is definitely a recommended app! I didn't include it because it's predominantly a music player that relies on you to adding your own music.